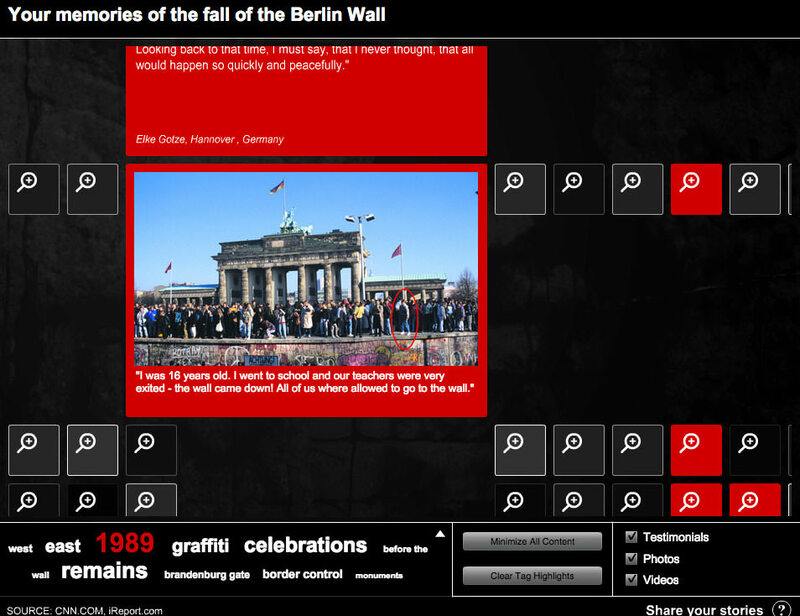 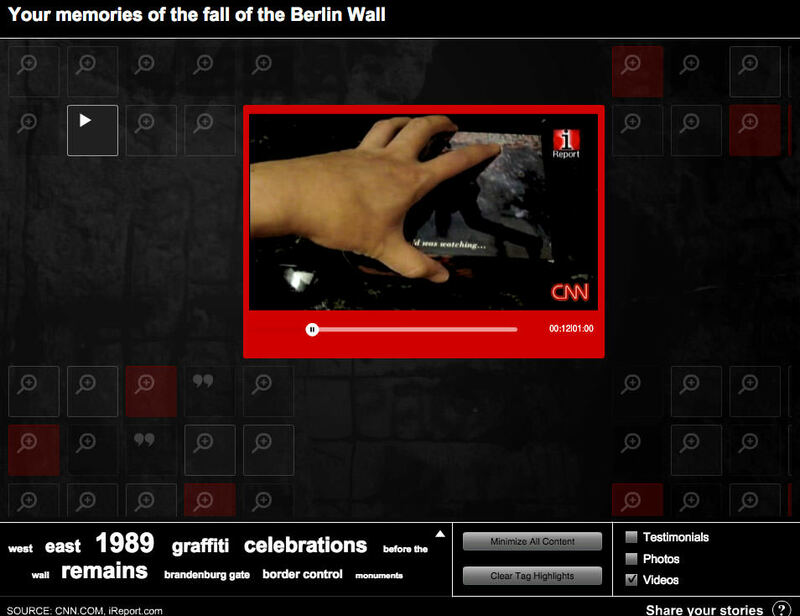 Pulling stories from CNN newly created citizen journalist arm, iReport, I created an interactive remembrance wall. 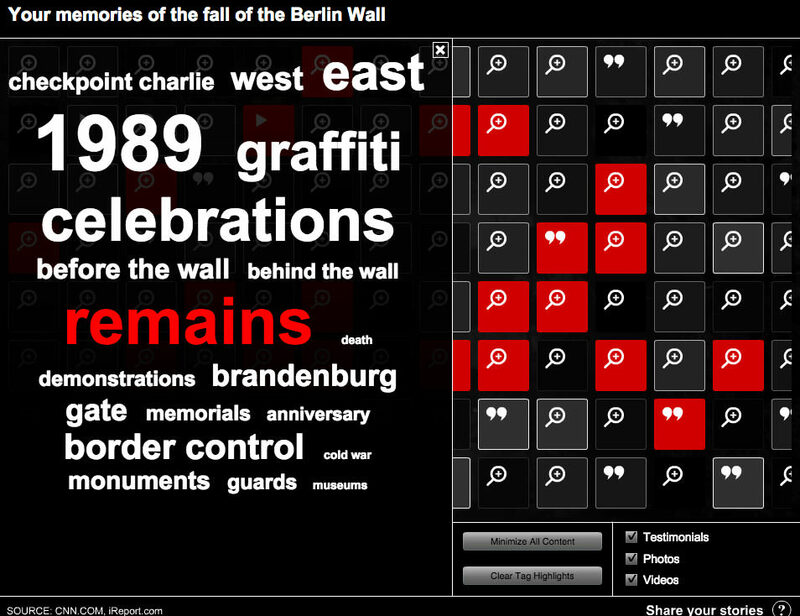 Each tile shared someones' memory with text, video or imagery. 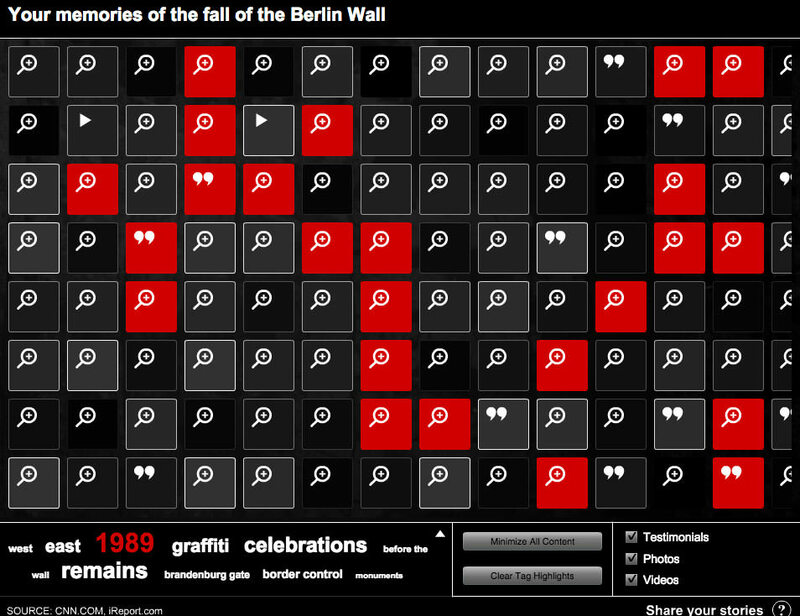 Tiles could be higlighted based on subject matter or content.